African Sun Guest House is at the foot of the Outeniqua Mountains and it has a spectacular view from each room. 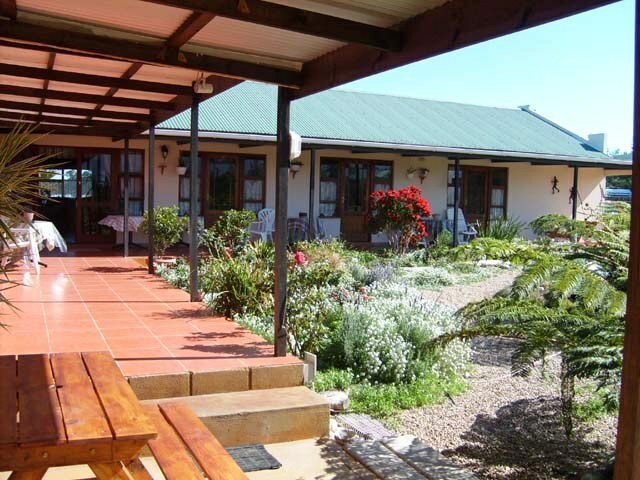 It is set in a country atmosphere with plenty of space, large gardens and a dam for bass fishing. Guests can rise to the sound of chirping bird life and the cries of guinea fowls roosting. 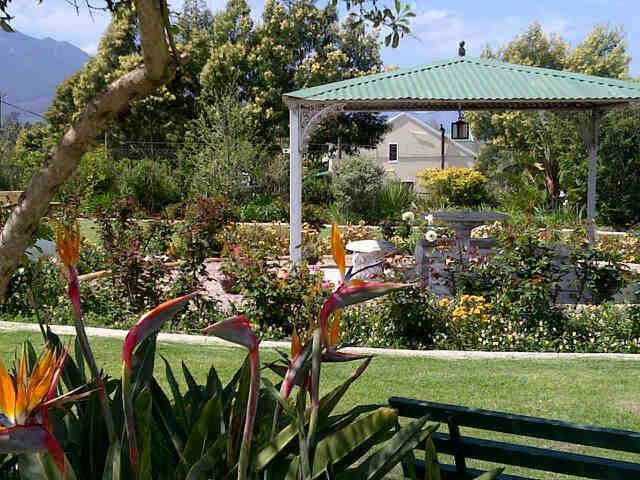 Stroll through the rose garden or sit in our garden under an umbrella and enjoy the peaceful surroundings. 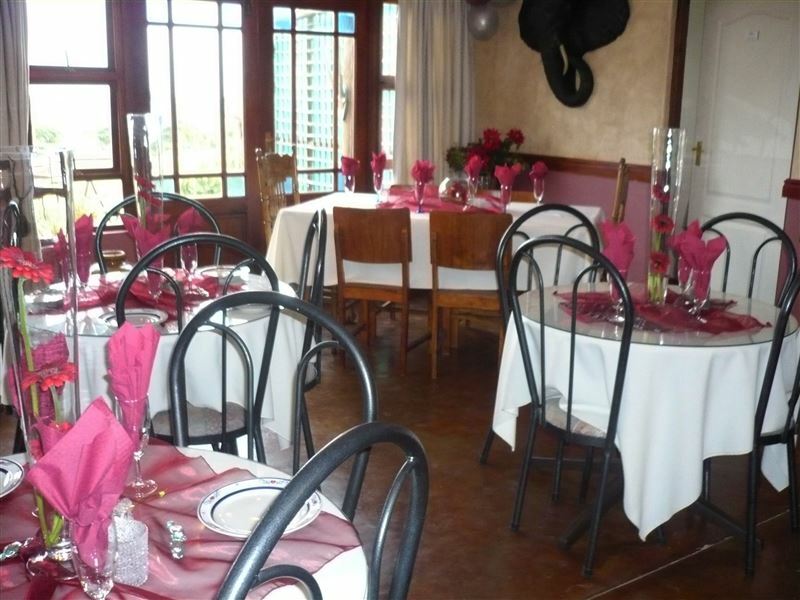 Designed to offer a homely environment, the African Sun Guest House offers superb bed and breakfast accommodation in an ambiance of country style. We offer luxurious suites, each individually furnished and decorated. Each suite has its own entrance and verandah overlooking the garden. 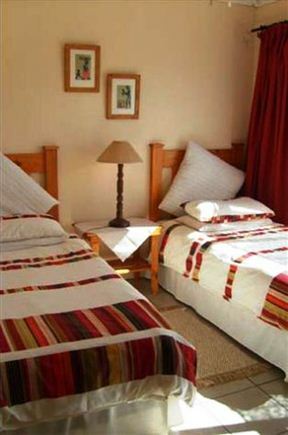 Our comfortable family suites are ideal for any self-catering holiday with the children. 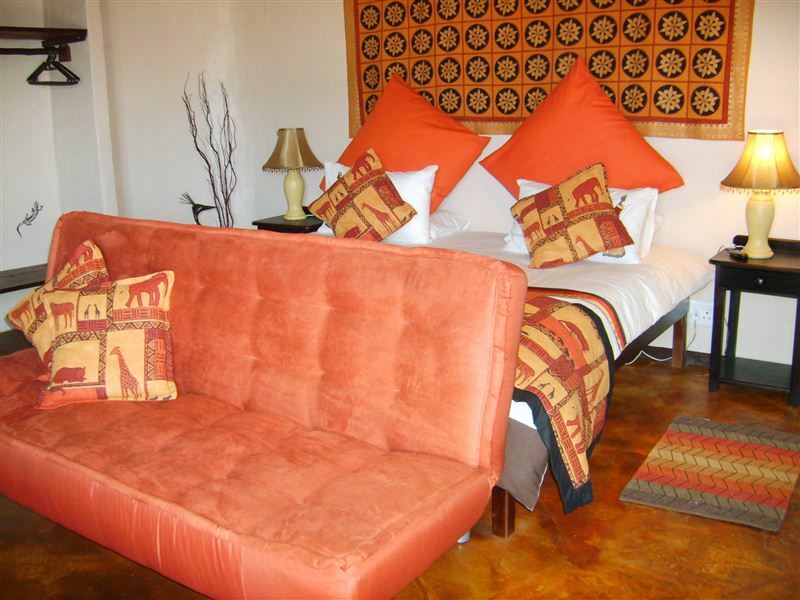 The units are fully equipped including fridges, microwaves and TVs, as well as spacious patios. 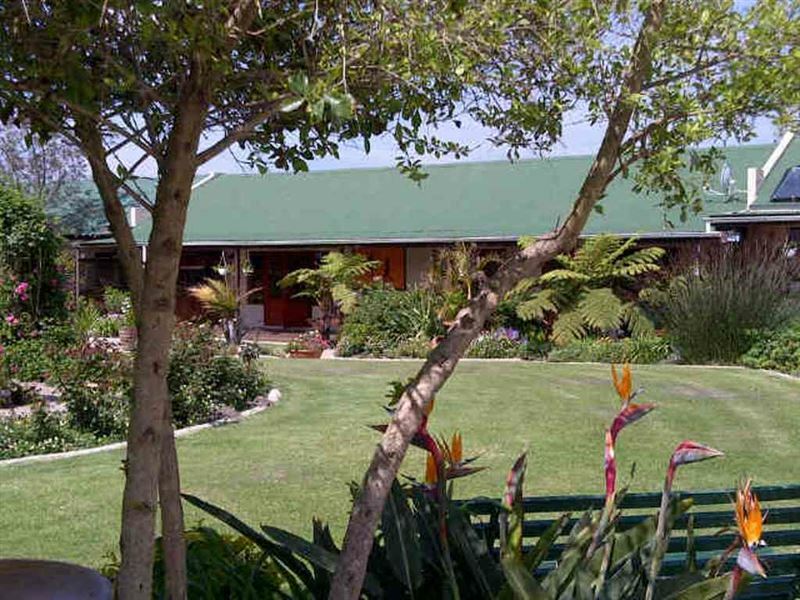 We are located 2 km from the famous Fancourt Hotel which boasts one of the best golf courses on the Garden Route. Harolds Bay is 10 minutes away and is very clean and safe. The Tramonto wedding venue is up the road and guests often use our accommodation for these functions. We are in the centre of strawberry fields and the Strawberry Festival is held during the month of September. 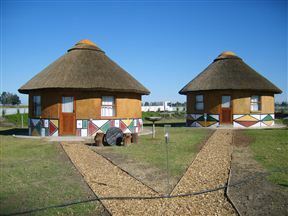 Open plan self-catering with 2 single beds or 1 King size bed and sleeper couch, bath/shower toilet & basin. It is stand alone with plenty of space and lovely gardens with braai facilities. The view is of the Outeniqua mountains. Wheelchair friendly. 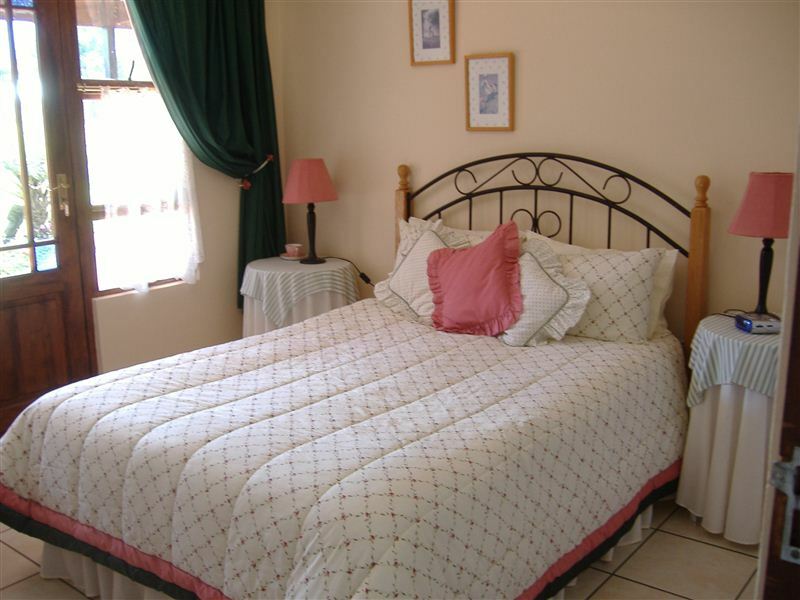 Open plan semi self-catering with 2 single beds and 1 double bed, bath/shower toilet & basin. 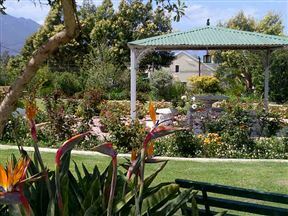 It has lovely gardens with braai facilities. 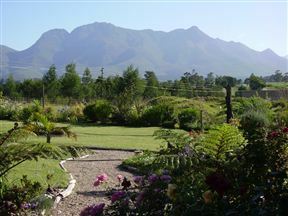 The view is of the Outeniqua mountains. Wheelchair friendly. 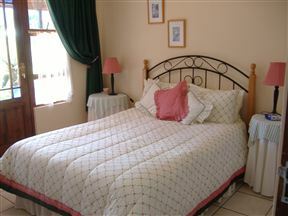 This room has 2 x single Beds and an en-suite bathroom with shower. Tea and coffee facilities and a fridge. With a communal Kitchen. 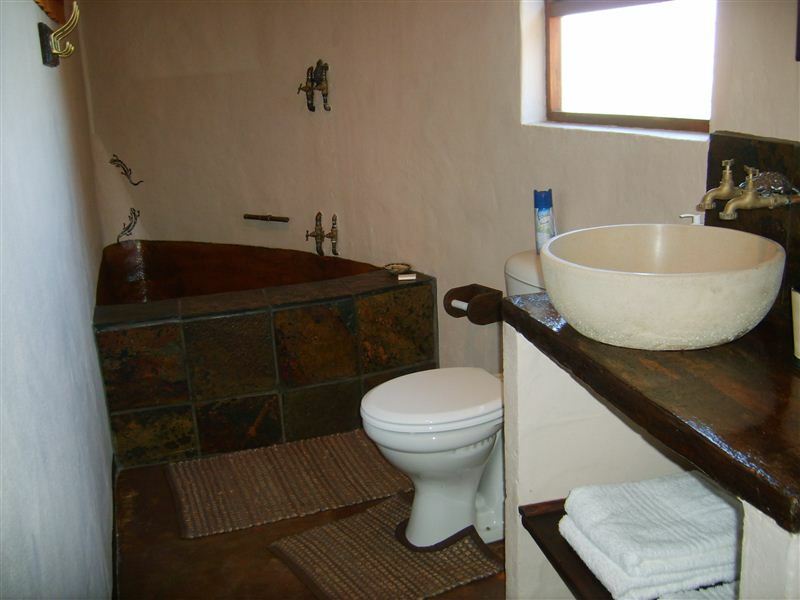 This is a room which is en-suite and is semi self-catering. Has a double bed, en-suite bathroom with shower, Tea/coffee facilities, with fridge and communal Kitchen, room opens onto the verandah.